2NJ or someone was having problems earlier today with some of the avi's too. Maybe it has to do with ISP's or something, I don't know. I haven't had any problems. It's those leprechauns that Kermit was talking about, I'll bet. Or maybe a Halloween witch. Just long enough for Peter to get the trip all put together. This photo is a keeper!! Do you know where the depositions took place? I could be wrong but .... the recent Dr. Phil document makes me think that maybe the Kalpoes did not come to the States. I will have to look again but ... there was something about videotaping. I must have missed the document pertaining to the location of the depositions. I just heard that a Beth interview will be on Entertainment Tonight on Monday....also a CBS show. Thanks Magnolia, I know Entertainment Tonight is on my CBS affiliate! Here I am....it was short, but touching. Just this past week was Natalee's 24th birthday , how did you handle that? Beth said that she celebrated with some of Natalee's friends. to sell the remains to Beth for $250,000. Beth felt that she needed to confront Joran and ask again where Natalee is. and when the opportunity presented itself, she couldn't decline the invitation. She will never give up until she has her child back on American soil. I wish I could have seen it too! God bless Beth, I couldn't and wouldn't give up either! 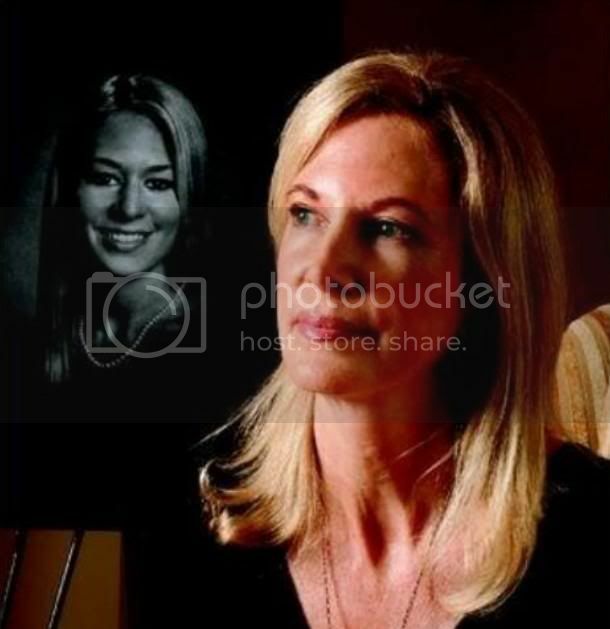 AOL News (Oct. 29) -- The mother of missing American teenager Natalee Holloway says she was hoping to recover her daughter's remains when she traveled to Peru last month to confront Joran van der Sloot, CBS' "The Insider" reports. "I really felt like for me to move on, what I wanted to [do was] recover her remains because I was so heavy into this communication with [Joran] about, you know, that he knows where her remains are," Natalee's mom, Beth Twitty, said in an exclusive interview with "The Insider's" Chris Jacobs scheduled to air tonight. Van der Sloot, 22, is being held at Castro Castro Prison in Peru on charges that he murdered 21-year-old Stephany Flores in his Lima hotel room in May. The Dutchman is also the prime suspect in Holloway's disappearance. She vanished in 2005 during a high school graduation trip to the tropical island of Aruba, and her body has never been found. Twitty traveled to Peru in mid-September and met with a Dutch documentary filmmaker who's investigating her daughter's disappearance. While there, the two sneaked into Castro Castro Prison and made their way to van der Sloot's prison cell. Twitty was able to briefly confront the Dutchman before prison officials realized what was going on and removed her from the premises. "You know you can't plan on doing something," Twitty told "The Insider." "That [opportunity] presented itself ... and it was something that I felt, how could I not do it? You know, I've traveled all this way." Twitty says she was prompted to travel to Peru by e-mails she had exchanged with van der Sloot in March, in which he allegedly indicated he would provide her with the location of Natalee's remains for $250,000. In June, federal authorities in Alabama charged van der Sloot with extortion and wire fraud for the alleged overture. The complaint alleges that van der Sloot agreed to provide not only the location of Holloway's body but also information about the "circumstances of her death" upon receipt of the money. The information that van der Sloot provided was false, federal authorities said. Despite the extortion case, it could be some time before van der Sloot is brought to Alabama to face the charges. He remains behind bars in Peru on charges of first-degree murder and robbery in the Flores case and is waiting for a ruling on a motion filed by his lawyers that he is being held unlawfully. If convicted of Flores' murder, van der Sloot could face 15 to 35 years in prison. "I think that we all know that it was not good, the outcome for Natalee," Twitty said. "But it's something that you know is so important in a missing person's case is a resolution, whether it's recovery of remains ... of course, everyone would love the outcome that they recover a missing loved one alive, but it just doesn't always happen that way. We know that." Thanks Magnolia and everyone who has posted information. It wasn't on in Huntsville yet so I will keep looking for it. Beth looks wonderful! I am so glad she had the courage to go all the way to Peru and confront Joran when his own mother wouldn't show up. She is truly grace under fire. BTW, I am usually in the rafters but don't sign in unless I am going to post, lol. Lots of us are still here every day supporting Beth and for Justice for Natalee. We will never give up! T i c k t o c k ! T i c k t o c k ! Picture one Kalpoe head on each pendulum. Not sure if the accused in this case has the same first name as has been mentioned, but it caught my eye. the acusadonan j.j. curet, m.a. ridderstap y l.r. webb today diabierna owing to remain condena before they rol in the atraco cometi at kentucky fried chicken at sta. cruz. one mature cu did take luga the year here at end by march. thing the atracadornan owing to bay cu ne was 3800 guilder y cu aid by informacion attain by one trahado on the procedura before cu maneho by coin. ministerio publico owing to ask before ridderstap the same cantidad by day cu past owing to happen close come to anend, esta 86 day by gaol. contra curet owing to ask two year by gaol y contra webb also 2 year already cu past owing to employ informacion cu the had because employee before comete the atraco. corte owing to bay by acuerdo cu the castigonan.. Page created in 1.76 seconds with 19 queries.